Prayagraj. 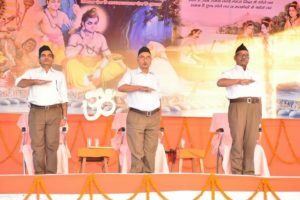 RSS Sahsarkaryawah Dr. Krishna Gopal Ji warned the countrymen to be cautious about the activities of divisive and anti-national forces. Such people are hiding in the society in the guise of teachers, lawyers, doctors and farmers and extend help to those anti-national elements and protect the terrorists in the courts of law, he said. 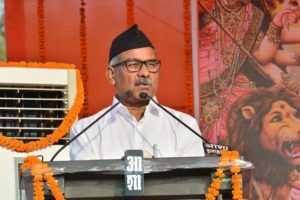 He was addressing a ‘Vijaya Dashami Utsav’ on the 93rd foundation day of RSS at Parade Ground, Prayagraj. 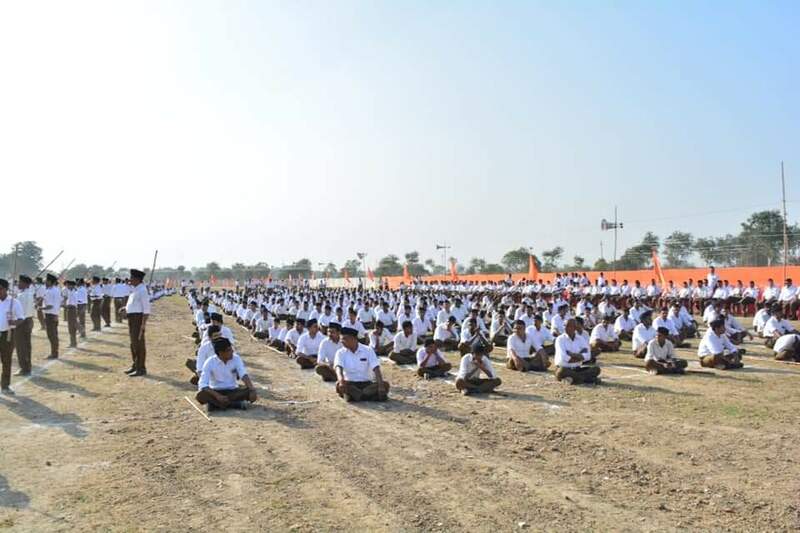 The event named as “Sangh Samagam” was attended by thousands of RSS swayamsevaks in their ganvesh. These elements who kill the jawans, support of balkanization of India, are certainly the anti-national elements and are opposed to the RSS because they know that with the spread of RSS their very existence would be at stake. And this is happening. With the growing influence of RSS their evil designs are getting frustrated, he added. He claimed that with the spread of RSS work in the Northeast India, there has been considerable downfall in the militant and terrorism related incidents in that sensitive border region. Earlier, there used to be 80-90 militant organisations active in the Northeast but now most of them have become defunct and even joining the national mainstream, he said adding that the national festivals of August 15 and January 26 are celebrated there with full enthusiasm and fanfare. This is the indication of growing strength of nationalist forces. Without mincing words he said that the Maoists are roaming in the society in the guise of journalists, lawyers, teachers and professors. Their intention was to incite civil war and break this country. The country is passing through a critical transformation period and appealed to the countrymen to remain vigilant to thwart their anti-national designs. 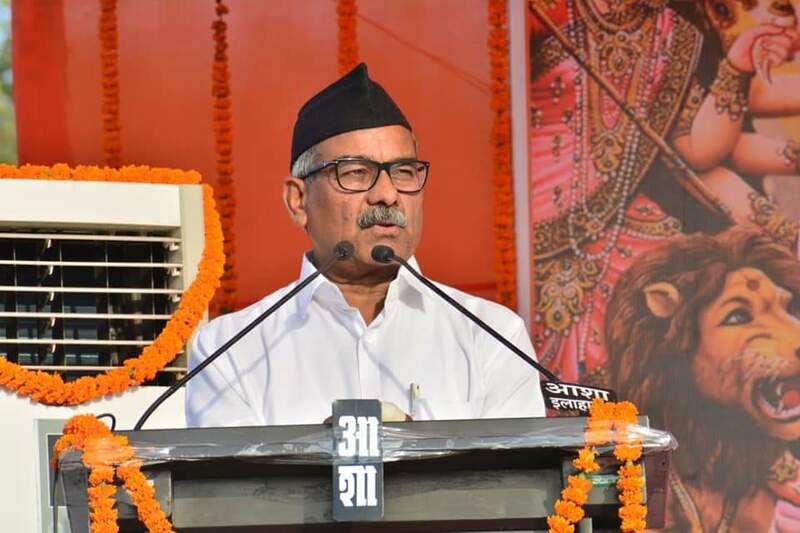 Reiterating that the RSS was not against reservations he said that the Sangh believed that it is on the part of those who are receiving reservation today to decide as to how long they need this facility. The moment these people say that they do not want reservation anymore, it will automatically go, he added. He said that one cannot understand RSS by reading books. 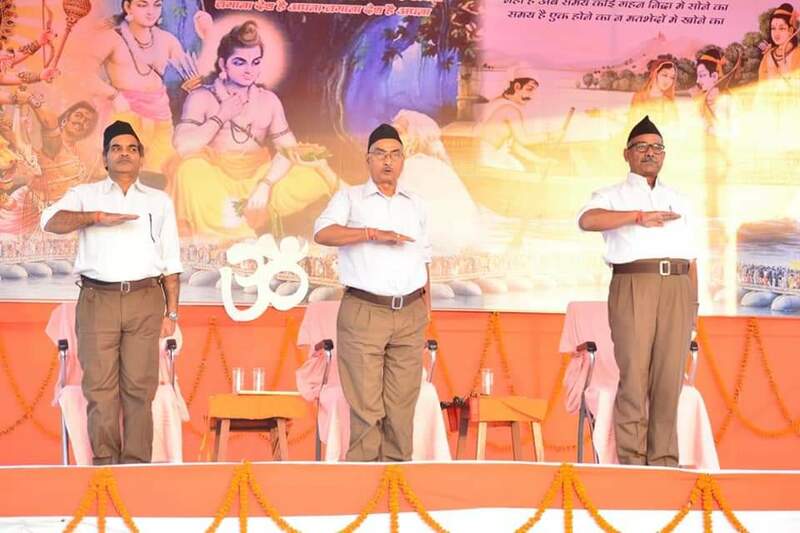 It is necessary to associate with the RSS to know it. The Sangh is committed and engaged in the uplift of those poor, down-trodden, neglected and deprived sections of the society. Appealing to the masses to create a homogenous society, he said that Hindu society free of any division based on caste, language, sect, etc. is a must for national integration. He invoked Swami Vivekananda and Sikh Guru Govind Singh to stress on the concept of united, homogenous Hindu society and said that the Sangh inculcates this sanskars in its daily shakhas. The prestige of India has gone up in the world due to RSS, he said. The Sangh was founded to remove timidity and weakness of Hindu society and make it vibrant, powerful and strong by forgetting differences of caste, creed, language and provinces and sects. He called upon the swayamsevaks to devote them in the work of Sangh and take the number of Shakhas from the present 60000 to 100,000 in the near future. Introducing the importance of Vijayadashami he said that it symbolized the victory of good over evil and said that the Sangh was founded to organise the disorganised Hindu society so that all the ills and challenges before the country could be dealt with. The country faced these hardships because of the unorganised and weak Hindu society and this forced Dr. Keshav Baliram Hedgwear to start the RSS on this Vijayadashami day 93 years ago. He also referred to the contribution of Darashikoh, the elder son of Emperor Shahjahan in abolishing the ‘Zazia’ Tax being forcibly collected from the Hindus in the 17th century by the Mughal rulers. Earlier, he performed ‘Shastra Pujan’ along with Prant Sanghchalak Dr. Vishwanath Lal Nigam and Vibhag Sanghchalak Dr. Rana Krishna Pal.